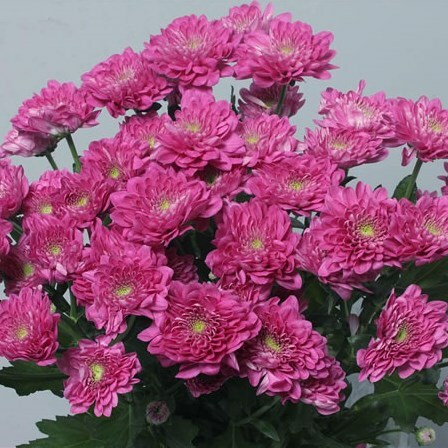 Exopolis is a double cerise variety of spray chrysanthemum. Spray chrysanths are multi-headed, approx. 70cm tall & wholesaled in 20 stem wraps.